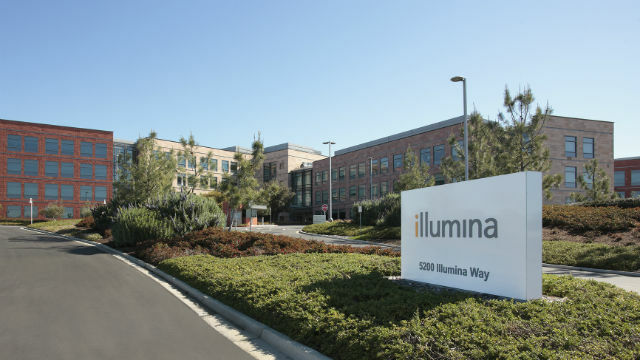 Genomics pioneer Illumina on Tuesday reported a 22 rise in profits on a 20 percent increase in revenue in the third quarter. The San Diego-based manufacturer of gene sequencing machines earned $199 million, or $1.33 per share, on revenue of $853 million, compared to $163 million, or $1.11 per share, on revenue of $714 million in the third quarter of 2017. Cash flow from operations rose to $292 million compared to $235 million in the third quarter of 2017. For all of its 2018 fiscal year, the company projects revenue growth of 20 percent and earnings in the range of $5.32 to $5.37 per share.